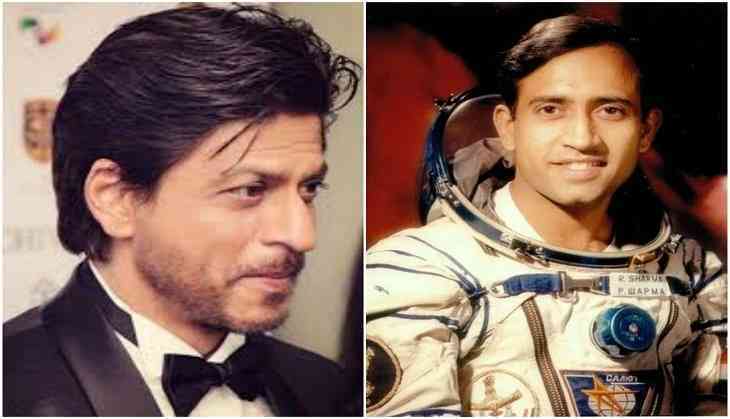 There has been a lot of buzz doing rounds on the internet about the biopic of the first Indian astronaut, Rakesh Sharma which is titled as 'Salute'. It was earlier being said that Bollywood actor Aamir Khan will be playing the role of the astronaut. However, later it was reported that due to some creative differences with the director, Aamir has refused to do the film. Everyone started talking about who will be playing the role of the lead actor until further reports came that another big actor has been approacehd for the film and he is none other than Shah Rukh Khan. According to reports in DNA, names of Ranbir Kapoor and Ranveer Singh were also doing rounds but it is expected from SRK that he will play the lead role. However there has not been any official announcement on the same. Shah Rukh is currently busy with his upcoming project in which he will be seen as a dwarf. The film is directed by Anand L Rai and will also have Katrina Kaif and Anushka Sharma opposite him. Talking about the actress in Salute, it ahs been reported that global desi girl Priyanka Chopra will also be playing a significant role in the film. Nothing has been confirmed yet. Shah Rukh will also be seen hosting SRK TED Talks India Nayi Soch which will air every Sunday at 7pm on Star Plus.